Alvarado Street Bakery is truly one of a kind. We were baking organic breads in the seventies when the term organic was not well known or sought after. We were well ahead of our time when we decided to make all of our products free of GMO ingredients. 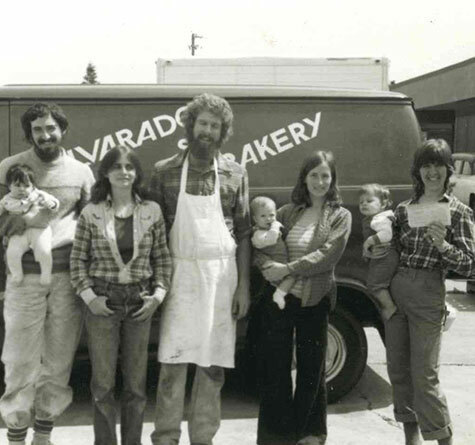 From our humble beginnings to the large co-op we now are, Alvarado Street Bakery continues to have an excellent reputation among its industry peers, vendors, and loyal customers. Our bakery is widely regarded as one of the best organic bakeries in the nation and our sprouted breads have been served in family kitchens all the way to the White House. Abraham Lincoln’s famous phrase "of the people, by the people, for the people" could absolutely apply to Alvarado Street Bakery’s culture. One of our customers, Geri Mingori, said it best "A Human Company!". Thank you Geri. Yes, we are proud of who we are and what we stand for! Alvarado Street Bakery's mission is to give superior service in providing the finest quality baked goods to its valued customers nationwide by utilizing a worker owned and managed cooperative business structure. We also strive to use whole grain, organic, and non-GMO ingredients, wherever possible, to support sustainable agricultural practices and healthy living. 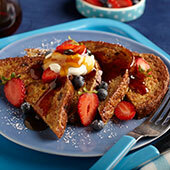 Alvarado Street Bakery is located north of San Francisco, California, in the beautiful Sonoma County wine country. 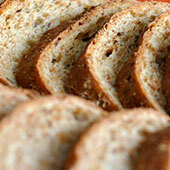 For over 35 years, Alvarado Street Bakery has been a leader in producing healthy, organic whole grain breads. 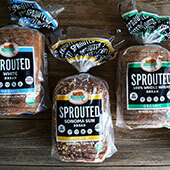 Our products travel fresh or frozen (one of the major attributes of sprouted breads is that they freeze very well) allowing us to offer these terrific products to consumers throughout the country, as well as in Mexico, Japan, Singapore, Kuwait, Puerto Rico, the British Virgin Islands and the Bahamas. These truly delicious healthful breads are enjoyed by people of all ages, including children, who love the moist, soft texture, and the nutty whole grain flavor. 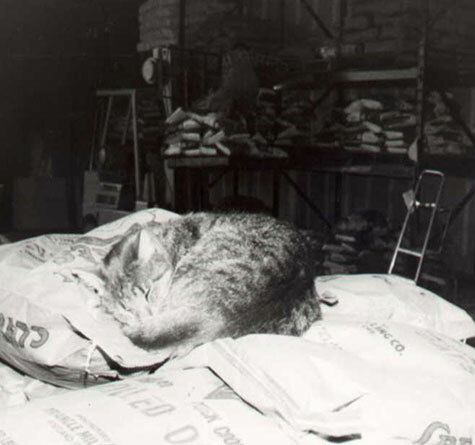 We started producing whole grain organic baked goods for our local community in 1978. Our roots can be traced back to the "Food for People not for Profit" movement in the San Francisco Bay Area. We were originally part of a non-profit organization called Red Clover Worker's Brigade. 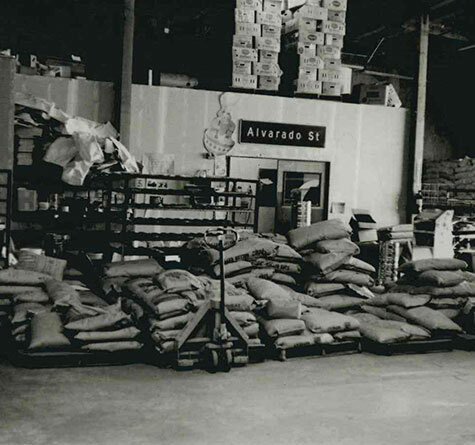 The brigade consisted of ourselves, a retail store (Santa Rosa Community Market), a trucking company, and a wholesale warehouse. 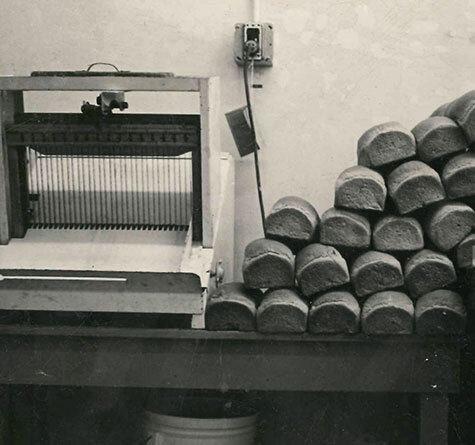 We have come a long way since 1978 but one thing remains the same... it is our dedication to baking quality healthy organic breads. Our co-op is now made up of 83 workers-owners, each committed to the utmost quality products and complete customers' satisfaction. Watch our newest video with the Healthy Grocery Girl! If your favorite store is not carrying our brand yet, simply fill out This Form and kindly hand it out to the store manager. The Alvarado Street Bakery team receives the Center for Well Being's Healthy Business Leader Award. 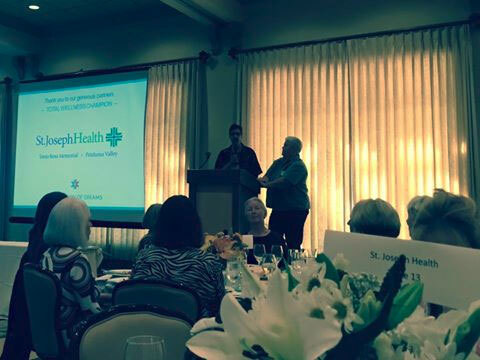 We are proud to be seen as a community's role model for Workforce Wellness.